The Orabella's Blog...: Ex- Projecvt Fame Winner "Chidinma" Wows My Streetz Magazine !!! 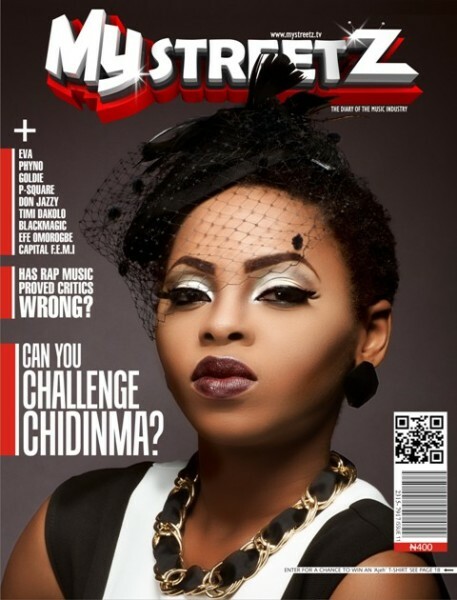 Ex- Projecvt Fame Winner "Chidinma" Wows My Streetz Magazine !!! Talented and award winning singer Chidinma Ekile wows the April Issue of My Streetz Magazine. Amazingly rapper Eva Alordiah is the professional makeup artist behind Chidinma’s Intimidating look. She has a beauty coy called Makeup by Orsela.